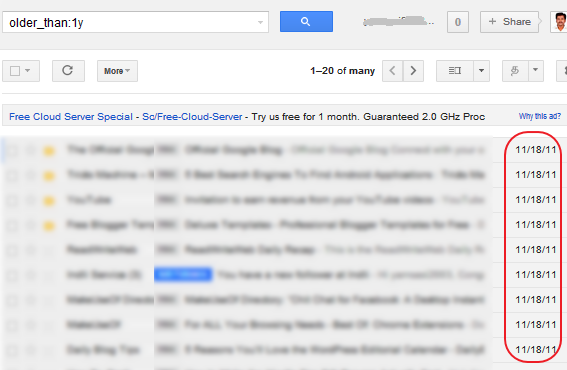 The leading free email service provider GMail now introduces new feature to all. According to this new feature now users can search by date and size in to Gmail. For example if you want to see emails which was arrived older than a year, just type like this older_than:1y in Gmail search bar without space and hit enter. There is no doubt these chances will be very useful to all Gmail users.